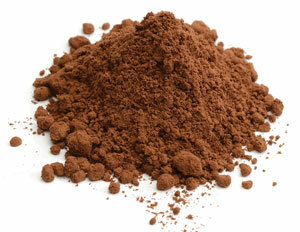 When manufacturing powders, for example dried drinking chocolate, it is common practice to concentrate a liquid before spray drying and this is typically done in an evaporator. The material is then processed through a spray drier where the remaining moisture is evaporated leaving fine particles of powder. Measuring the precise level of concentration of the liquid to identify the point at which it can be discharged can achieve considerable savings in the reduction of wasted materials and also provides increased and consistent product quality. Production of a powdered drink product consists of agitating the ingredients in a low-pressure, high temperature evaporator until the mixture has reduced to a pre-determined consistency. When the mix has reached the desired level it is then discharged from the vessel and transported to a spray drier. The remaining excess moisture is evaporated in the drier and the powder is then discharged into a crusher to prepare it for packaging. If the material is at an incorrect moisture level after the evaporator, this can result in a low or variable quality product and in the worst case could become a fire hazard in the drier. The installation of a Hydro-Probe SE digital microwave moisture sensor in the evaporator enables the producer to achieve a very accurate measurement of the material concentration. A correctly installed and commissioned system will measure the concentration level of the materials in the vessel to an extremely high accuracy. This provides a more accurate method of determining when the correct product consistency has been reached and the material is ready to be discharged. Real time control ensures that the material can be discharged at the exact point of consistency resulting in increased energy efficiency and a reduction in the amount of substandard or wasted product, as the process output will always be consistent batch after batch. The Hydro-Probe SE has been specifically designed to measure moisture content or Brix (sugar) in an evaporator or other pressurised environment where high temperatures may be used during processing. The sensor is capable of measuring the degree of dissolved solids in a liquid and may be calibrated to either moisture percentage or Brix.